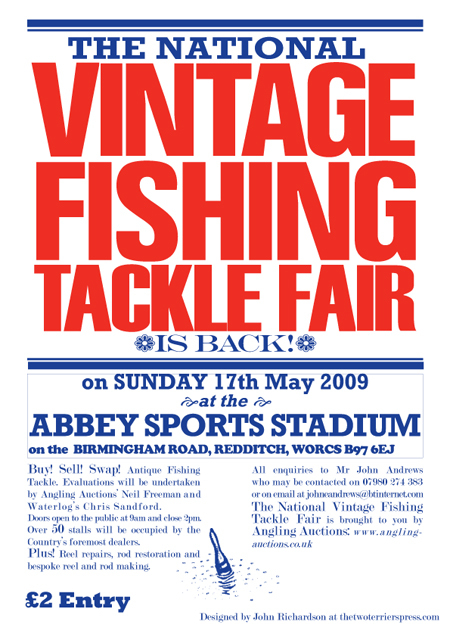 Sunday 17th May will see the Spring tackle fair at the Abbey Stadium Redditch and a chance to meet up with old friends again. This is the largest tackle fair in Europe with all the stalls sold out and a chance to look and buy items from a few pence up to a few thousand pounds. 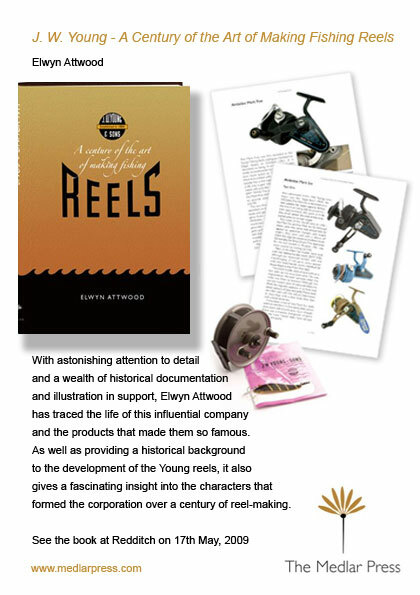 Highlight of the show will be the launch of the long anticipated book by Rupe Attwood on the story of the famous Redditch tackle company J. W. Young. Rupe will be in attendance to sign copies of his book and I know that many people are looking forward to reading this book. This entry was posted in Tackle Fairs and tagged Redditch Tackle Fair. Bookmark the permalink.